Colcannon..not the food, the US band. I’ve known this band since the 1980s. I was introduced to them at the James restaurant and Pub in Boulder which is now Conor O’Niells. Some of the albums that I have, they not only don’t have out anymore but some band members wished I would lose, but Three Days In May is their most recent album. The band has changed member over the years, but even as some have left the new ones have brought new talent and innovations to the group. 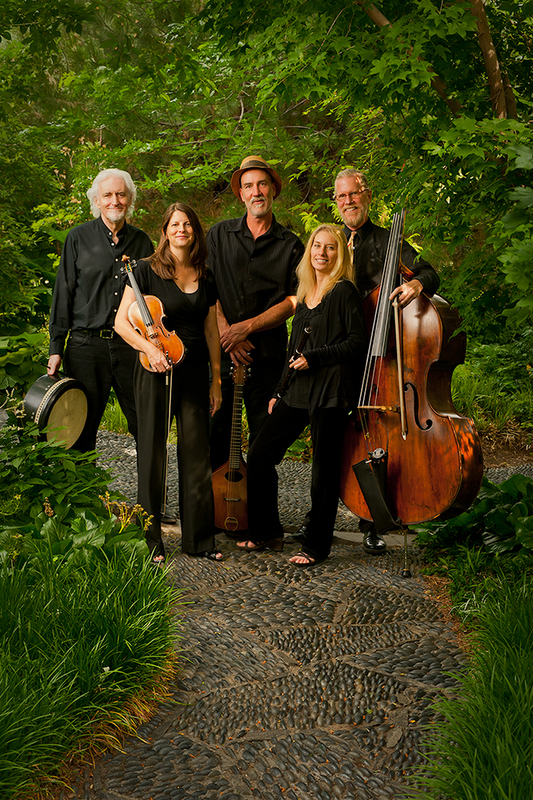 From left to right, Mick Bolger, Jean Bolger, Brian Mullins, Cynthia Jaffe, Mike Fitzmaurice. They were kind enough to share some info about themselves with me. Mick Bolger, singer, bodhrán player, Little bio. Born in Ireland in 1951. After High School I moved to England where i worked various jobs — construction, spot-welding, grave-digging. Used the time for travel, too. Europe, North and East Africa. Attended the University of Lancaster 1976-1979. Got a scholarship to CU Boulder and have been in the US ever since. Became a citizen in October 2010. Well, the band started out prosaically enough. There was a little group of us that liked to get together and play tunes and drink beer. Just hanging out. Then Alex McCannon (banjo) and Peggy O’Neill (harmonium) asked me if I’d be interested in forming a band. Along with Glenn Henderson (fiddle) we played a few very small casual gigs. But that was kind of unsatisfactory. Glenn was the only guitarist in the band and he didn’t want to put down the fiddle to pick up a guitar to accompany songs so it all kind of fizzled a bit. Then The James Bar and Grille (sadly now defunct) decided that it wanted to have Irish music on a regular basis at the weekends Larry Worster (Dr. Larry Worster Metro State College Denver) the first guitarist in the band, took us in hand, and had us rehearse in a more focused way. He was the one who made the whole thing work and it wouldn’t have happened but for him. Well, we got the gig and worked that bar for nine years. Over the years the lineup changed, the band got a lot better and we went on to performing concerts and writing our own music. By the time we left the bar scene our performances were more like concerts than the usual rowdy bar scene — though there was plenty of that at times, too. What instruments do you play and who manufacturer them? My bodhrán (drum) is made by Seamus O’Kane from Dungiven, in County Derry. His bodhráns are sought after and a joy to play. I don’t have music on all the time. When I do want to listen, I put on a disc or tape — I still have a lot of music on cassette and vinyl — and actually sit down and listen. But I can’t multi-task e.g. read and listen or study and listen. Recently, I’ve been listening a lot to a collection from Topic Records called ‘The Voice of the People’ and a lot of it is really old field recordings of folksong from the British Isles. It’s very unadorned and spontaneous and just full of life. I find it pretty exciting. Singing, cooking, being with my wife and friends. Reading. The stuff that makes me happy — singing, cooking, being with my wife and friends. Reading. Anything else you think people don’t know about you that you would like to share? I’m pretty boring and transparent — no surprises here, really. I started playing violin at age 6 and played- steadily but not very seriously- throughout my childhood. I started playing Irish music in my early twenties, right before I joined Colcannon. My violin was made around 1900, probably in Eastern Europe- its provenance is not very clear. I’ve been playing this same instrument since I got big enough for a full size violin, so it’s been with me over thirty years. I actually haven’t done a lot of concentrated listening for the last few years- I think I was kind of “full”. Recorded music is so omnipresent today that it can become a little overwhelming. I think I’m gearing up to jump back in though. I like a lot of baroque and early music. People always tell me I look very happy when I perform with Colcannon, and you know what? I am! I like to read, garden, sleep- I’m not much of a go-getter really; my idea of a perfect vacation is to be in a beautiful place with nothing in particular to do. Well, I’d hope there’s a lot they don’t know about me! I think we’d all like to be a little bit mysterious…. Brian Mullins, plays a number of instruments, also plays with Laughing Hands.Little bio. Born in the dark reaches of semi-rural Kansas, I started listening too, and longing too play, ethnic musics of all kinds, as a result of basic sensory deprivation. This gave way to a love and pursuit of exotic sounds, instruments and foods. Traditional Vietnamese and Chinese music, Astor Piazolla, Hermeto Pascoal, Tom Waits, Jazz, Theremin, Arvo Part, Finish, Musical Saw and Armenian music (the “Duduk”). A good turn of a phrase, Cats, babies, tennis, diners, composing, performing ,improvising ,improve anything, jokes, dancing, camping/ hot springs and traveling in general. Compose, garden, dance, play tennis, plan musical installations, score sound tracks to silent movies. In as many languages as possible. 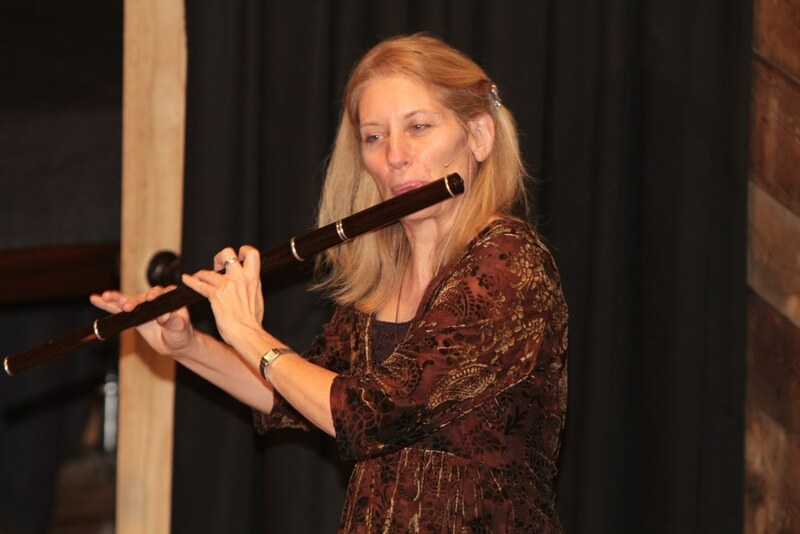 Cynthia Jaffe, flute player.Little bio. I am Colcannon’s newest member. I was brought on board in 2010, when Rod Garnett, Colcannon’s flute player for many years, left the band first just on sabbatical and then for the long term. It’s been a real privilege to be with this witty and really talented bunch. I played in a couple of different Celtic music trios in Colorado before joining Colcannon. My main musical influences are classical, folk, improvisational and Indian (Carnatic) music. I had studied classical music first (piano and flute) and eventually branched into jazz and Indian music (studying at Wesleyan University’s World Music program) – but was not a performer until recently. In the late 90’s I dove into the Irish flute and was lucky to be in a community with many good and inspiring players. I play a Pratten model wooden flute handcrafted by Patrick Olwell. I play a variety of penny whistles and low whistles, mainly made by Michael Burke. I also play a 6-keyed “Grey Larsen Preferred Model” Irish flute by flute maker Terry McGee. 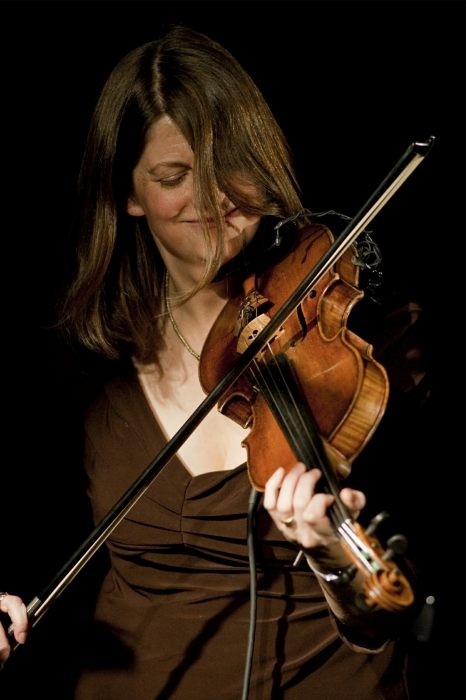 Among Irish and Celtic artists I’m really fond of Martin Hayes and Dennis Cahill, Lunasa, Dervish, Claire Mann, Moving Hearts… it’s hard to think of all the many great players who inspire me! But I love many kinds of music, especially world music (Indian classical, African kora music, Zimbabwean vocal and mbira music, Afropop, Brazilian vocal music, Persian music…), not to mention Bach and a whole variety of orchestral music. I love to be in nature, hiking, just being. Mike Fitzmaurice, bass, guitar, he also plays with Laughing Hands. Little bio. Born and raised in New Jersey, Adult child of Catholics, Studied painting and drawing at Pratt Institute, moved to Colorado in 1980, studied music (classical) at Univ. of Colorado, joined Colcannon in 1986 (I think) active freelance musician, performing classical, jazz, and world music. Started on guitar, was self taught, (with the help of friends of course) kept practicing. My bass is a 7/8 size Juzek, made in Prague in 1929, My guitars are a 1967 Martin D 28 (Brazilian rosewood) and a Lowden, made in Ireland in the late 1990s. and my bass harmonica is made by Honer, purchased on e-bay so I don’t know the date of manufacture, but it’s old. I also play the Erhu (2 string Chinese spike fiddle). I listen to a wide variety of music. Many things, beer among them. But then there would be no mystery. Well If you would like to see them in action check out their website to see their schedule. Also check out these sites. I’d like to thank them for spend some time letting us get to know them.